George Quartz, The Last Resort. 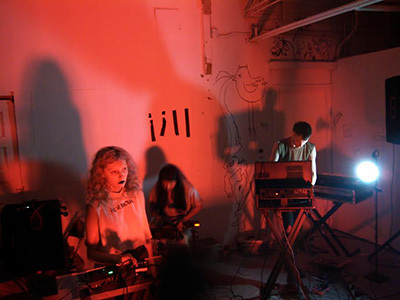 Performed at Vice Palace at 500 singleton, 2014. Photo by Karlo X. Ramos. Courtesy the photographer and Vice Palace. DIY is a slippery term. An abbreviation for Do It Yourself, DIY can be used to refer to any number of scenes, communities, approaches and philosophies in fields as diverse as home improvement, education, or, for our purposes, the arts. In this context, DIY refers to a roaming sub-culture and community –– or collective –– that operates at considerable remove from commerce and big industry, animated by an independent spirit and ambition geared towards the actualizing of new possibilities and perspectives in various creative mediums. It’s generally agreed that DIY started at some point in the ’60s, with Andy Warhol’s multimedia event Exploding Plastic Inevitable positioned as one of its earliest and brightest examples. A through-line can then be drawn to include the counterculture music festivals of the late ’60s, the punk movement, the audio-visual performance art of ’70s industrial acts like Throbbing Gristle, and even the ’90s rave scene, particularly in the UK. Dallas has a rich –– though not rich enough –– history of DIY curators and participants. In recent years a number of these scenes have popped up throughout DFW, though mostly situated in tight-knit clusters throughout Denton and near Downtown Dallas. 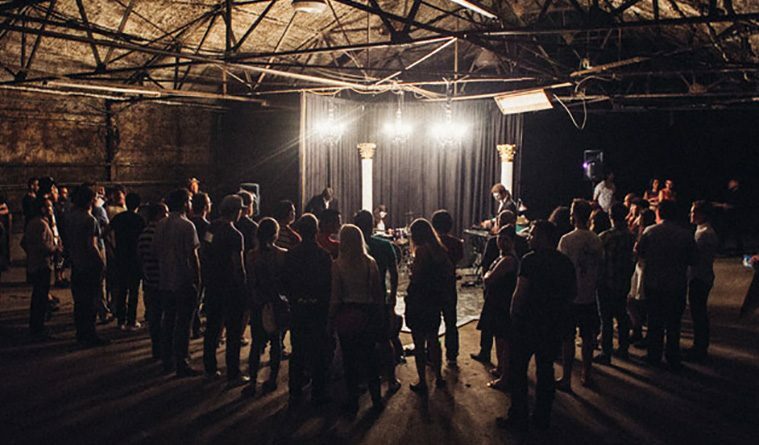 For instance, between 2006-2010, Denton played host to several music-focused DIY venues. Operating out of houses, warehouses and even barns, these hotbeds of energy and imagination brought further depth to Denton’s art scene––with musician Rob Buttrum’s infamous House of Tinnitus being one of the more notable examples. Even more recently, Dallas housed three noteworthy DIY spaces: the now-defunct Two Bronze Doors, The Black Lodge, and the now one-year-old Vice Palace. 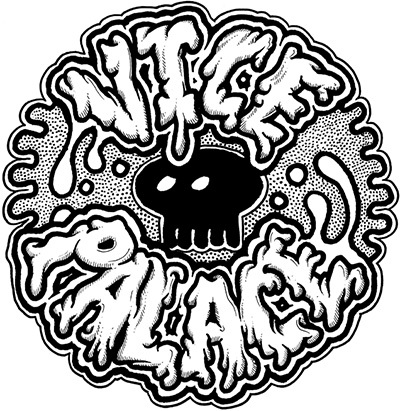 Helmed by (inter)nationally celebrated painter, curator, educator and leftfield music fan Art Peña, and partially inspired by a dissatisfaction with the state of Dallas’ music scene, Vice Palace is for all intents and purposes the predominant DIY project in Dallas presently. Taking up residence, primarily, in a series of vacant West Dallas warehouses (courtesy Butch McGregor of West Dallas Investments), VP operates as a roving audio-visual venue for the exhibition of art, music and, naturally, art-music. (In Peña’s words: “Vice Palace is an art project at its heart, with music from this city as its blood.”) In no uncertain terms, VP has been integral in ushering in a new era of underground music in our city, restoring many a fan’s faith in Dallas as a viable DIY environment in the process. iill at Oliver Francis Gallery. Photo courtesy of Arthur Peña. Over the last year, VP has organized some of Dallas’ most imaginative and challenging –– and therefore, successful –– music events. Critically acclaimed, well-attended and feverishly talked-about, these performance art ‘happenings’ emphasize the under-celebrated and under-exposed, showcasing some of the very best acts in Dallas music in the process (names like Terminator 2, Stefan Gonzalez, Hex Cult, George Quartz, Wanz Dover and Lily Taylor, to just scratch the surface). Despite VP’s successes, Peña remains tireless, hungry. Apart from plans to expand VP to include original media content (video interviews, performance trailers, and even a documentary are in the works), Peña just received notice that his dream of a Vice Palace branded local record label will come to fruition––largely possible by way of a grant from the Dallas Office of Cultural Affairs. For the moment, thankfully, VP’s future looks bright and assured. And that’s good news for everyone who cares about the arts in Dallas. All of which is not to say that the DIY philosophy, and specifically its embodiment in music, is without its own unique and unfortunate trappings. Certainly, there’s a noticeable inclination for retroism buried in DIY’s DNA––more precisely, a preference for the textures, ideologies, and grainy sounds of the late ’70s, along with their roots in the punk movement, The Velvet Underground and the performance art spectacles of collectives like COUM Transmissions; a romantic infatuation with vintage synthesizers, chiptune aesthetics and ’80s pop-culture detritus (typically, in an ironic context) is in vogue at the moment, too. Which is to say, DIY all but forgoes the sleek, hyper futurity of the emergent online underground music scene, which, when you really think about it, is odd. Why would an approach hinged on stark, impartial receptivity and forward momentum favor aesthetics directly rooted in the past, often, even, explicitly derivative? To his credit, Peña has largely sidestepped this problem, vocally expressing a willingness to engage with sounds spread all throughout the broad spectrum of musical variety. But more important than any one style or aesthetic, what Peña’s DIY vision –– and its current manifestation in Vice Palace –– is really about is extra-musical ideas. Sonic experimentation, pulp, the glorious creative freedom of trash culture, and high/low art contrasts all play a part, too. But at its core, Peña’s ambitions and execution are about the fostering of a community, the forward push and injection of fresh ways of thinking––and the celebration of how those things interrelate, and how that makes possible the drawing of new connections, the opening of previously unknown pathways and frontiers. Simply put, Vice Palace embodies art in its rawest, most urgent and communal form––art in its natural habitat. I urge you to get out there and see what this DIY thing is about for yourself––what it can offer you, and what you feel you can offer it.